Suriya has singed up a new film in the direction of Lingusamy for the first time. The combo film will hit the floors from August. new film. It was couple of times Linguswamy couldn't team up with Suriya. Now everything is on board and the duo film is on cards. 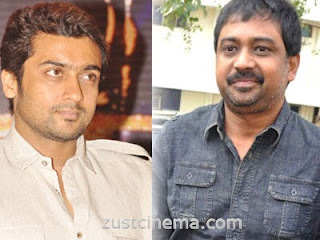 Director Lingusamy has narrated the story of the film and Suriya impressed with that and gave his nod for the film. Other details of Suriya-Linguswamy's film will be informed officially shortly.